The following article is reprinted in its entirety with permission from the source, AlterNet.com. It was authored by the editor and founder of the blog We Are Respectable Negroes which has been featured by the NY Times, the Utne Reader, and The Atlantic Monthly. Writing under a pseudonym, Chauncey DeVega's essays on race, popular culture, and politics have appeared in various books, as well as on such sites as the Washington Post's The Root and Popmatters. The Tea Party Glenn Beck Sarah Palin New Right’s onanistic spewing over naive worshiping of the U.S. Constitution continues once more. Of course, instead of having an honest and transparent conversation about how the 3/5ths compromise empowered the South, reinforced their ability to preserve the slaveocracy through inflated representation in the Congress, and led to a Civil War, Beck instead indulges in a line of reasoning that does not pass the most simple tests of reasonable historiography and common sense. Glenn Beck’s misrepresentations point to a bigger play at hand. The Texas rewriting of U.S. history, the banning of “Ethnic Studies” programs in Arizona, the Neo-Secessionist movement, and the general politics of white victimology and racial resentment that are the beating heart of the Republican Tea Party, speak to an old and deep vein of anti-intellectualism in American public life.Symptomatically, as we work through history and its relationship to American politics, Beck and the New Right are possessed of a belief that all opinions are created equal, and that the historical record is simply a “social construct,” a function of mere interpretation that can be massaged at will to fit the political demands of the day. We can only imagine the consequences of fiction and myth as the basis of a political movement that seeks to remake the very foundations of the social contract and American’s constitutional republic. 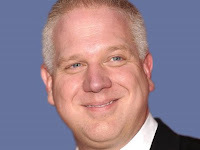 I am not asking Glenn Beck to be the next Woodward, Williamson, Berlin, Franklin, Holt, or Hahn. Nor am I asking the Tea Party GOP brigands who carry around copies of the Constitution in their pockets as they play 18th Century America costume party to be especially sophisticated citizens. No, all I ask is that Glenn Beck in playing the the role of pseudo-historian at least maintain a pretense to truth seeking behavior…be it ethical, moral, or philosophical. Pretense is his forte, authenticity? Not so much. Is this too much to expect of a dilettante historian with an on knee, mouth open, and ears ready audience that takes what Beck utters as wisdom from on high, metaphorical rain come down from the mountain top? Or am I just being too hopeful?